The HEUG.Online is the BEST way to reach over 570 PeopleSoft/Oracle Higher Education customers and over 275 State and Local Government agencies to market your products and services. Access to higher education institution profiles that give you contact information and PeopleSoft/Oracle applications they are currently using. Communicate with over 34,000 members within the site through our online forums and email lists (last year we generated over 10 Million listserv emails). Showcase the knowledge your company can provide directly to higher education customers. There is no better way to communicate daily with this market and discover potential business opportunities than through the HEUG.Online forums and email lists. Promote your company, what you provide to the marketplace and the benefits you can offer directly to the people who can use it. The HEUG.Online averages 6000 page views per day giving you a lot of exposure. Partners can showcase their expertise through blogs, posting of recent press releases in our News Network and promote events by posting them in the membership calendar. Educate the membership while promoting the expertise your company provides through HEUG Education Series webinars. Our webinars have been receiving rave reviews and amazing attendance. Partners in the past have seen an increase in contacts as a direct result of doing these webinars. The Higher Education User Group welcomes partners to participate in many ways with our organization. 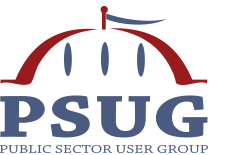 The HEUG is comprised of over 570 PeopleSoft/Oracle Higher Education customers and 275 State and Local Government Agencies. Partners have many unique ways to participate and market to our members.